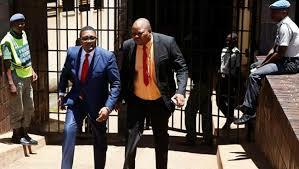 The State has set January 28, 2019 as trial date for former Foreign Affairs minister Walter Mzembi who is accused of various corruption related charges. Mzembi is standing trial for allegedly misappropriating funds meant for the 2013 United Nations World Tourism Organisation General Assembly. He is also accused of disposing of 16 PVA television screens by means of donating, loaning or hiring them to various institutions and church organisations without approval from the Finance ministry. Initially, the State had set November 19 and 29 as Mzembi’s trial dates. However, trial failed to commence when Mzembi fell sick and travelled to South Africa to seek treatment.